Green smoothies have become increasingly popular over the years and with so many affordable household blenders on the market it is now easier than ever to prepare green smoothies in your own kitchen. 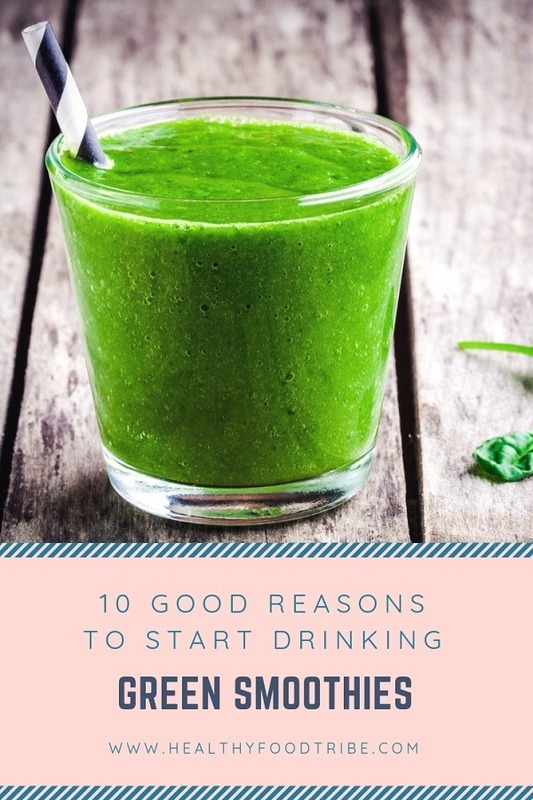 Here are 10 good reasons why you should start drinking green smoothies and make positive health changes to your life. A green smoothie typically contains leafy greens, such as kale, spinach and bok choy. Leafy greens are nutritional powerhouses loaded with a great variety of different vitamins (in particular vitamin K, C, E and also B vitamins) and minerals (i.e. iron, calcium, potassium, and magnesium). Green smoothies have lots of disease fighting properties and they help boost your immune system. If you don’t have time to prepare a decent meal, a green smoothie can be made in just 10 minutes. You can also prepare your green smoothie ahead of time and drink them when you’re ready. You can keep them fresh in the fridge for at least another day. A strong blender crushes fruits and vegetables, taking them down to the cellular level. As a result, the nutrients in fruits and especially in greens become readily available to the body. This cannot be achieved to the same extent by simply chewing greens. The main difference between juicing and blending is that juicing extracts only the juice from fruit and vegetables and blending involves whole foods resulting in thick smoothies. Unlike a juice, a smoothie contains a lot of fiber which helps slow the absorption of sugar in fruit, providing your body with the right amount of energy and nutrition, all at the right pace. Green smoothies are the perfect way to alkalize the body and to achieve a healthy alkaline acid balance. A good alkaline-acid balance is extremely important when it comes to maintaining your overall health. Because green smoothies are so nutritious, they will give you an instant energy boost. The great thing about green smoothies is that once you start drinking them, your body gets used to all this natural goodness and you won’t be craving for sweets anymore. As a result, you will feel a lot more energized and refreshed in the long term. Children are usually not very big fans of vegetables, but when blended with fruits they will love them. So if you are struggling to feed your kids vegetables, green smoothies could just be the perfect solution. There is a green smoothie for everyone, no matter how picky we are. The taste of green smoothies can easily be manipulated with so many different ingredients available. The more you use your blender, the better you get at creating great tasting smoothies. You may not know, but green smoothies are actually a great source of protein. Greens contain lots of amino acids which the body uses to produce protein. So next time you hit the gym, try a green smoothie instead of a protein shake. Green smoothies are typically quite thick and are loaded with nutrients. 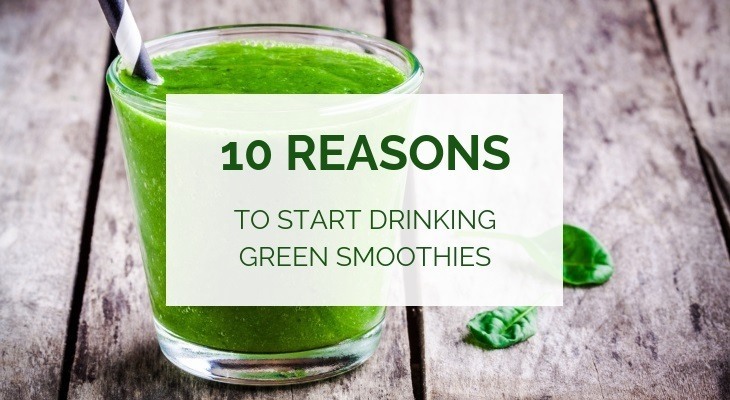 As a result, you’ll feel very satisfied after drinking one or two glass of green goodness. By drinking green smoothies regularly, you simply don’t feel like eating more sweets or other snacks and junk food. So if you’re looking to lose weight, try adding green smoothies to your diet and you may get some really good weight loss results. Make sure you vary the ingredients in your green smoothies and avoid using the same fruits and greens over and over again. All fruits and vegetables have their own unique nutritional values and the combination of all these fruits and greens makes them so good for our bodies. There are a lot of blenders on the market and when you are only just starting out with blending, it may be best to buy a basic machine, just to get used to the process. But if you want to get serious about blending, I would recommend buying a Vitamix or a Blendtec. They may not be the cheapest, but they do the job of blending so well that your new blender will become your best friend in the kitchen. Find more healthy green smoothie recipes here.